For the amateurs of freshness and power, the minty aromas are incontrolable. The Iced Mint E-Liquid is a liquid which proposes a mixture of freshness, find your Mint E-Liquid, this not a slim affair. Find the best Mint E-Liquids from all our suppliers in our shop.Choose the compostion to your preference and taste the different flavours which are proposed for you to find the best Mint E Liquid. Iced Mint or Cocktail Mint? Make your choice! A soft refreshing Mint. Correctly dosed. A mixture of peppermint and eucalyptus in an ultra-smooth Classic base. A mild classic base, light and underrlined with a menthol touch. Welcome to the Antarctic, where an icy blast will chill you to the core. Find the freshness of Green Mint and Chlorophyll with this e liquid. A refreshing blow sliding on tasty Mint: Sensation Guaranteed. Accompanied with a hint of Green Tea, a juicy Peach mixed with Green Mint which will refresh you! A classic Tahitian spiced flavour with enhanced with a touch of Mint. The Atomic E Liquid proposes the perfect association between acidic Mango and the freshness of Mint ! Find a classic, peppered flavours sublimed with notes of menthol. The Omega will make you discover a Pineapple and Strawberry Cocktail, sublimed with a touch of Lemon and Mint. Find all the Mint and Freshness flavours amongst our vast choice of e liquids for the Electronic Cigarette. Le Petit Vapoteur propose the best brands of E Liquids with Mint and Freshness Flavours are most surprising and refreshing. 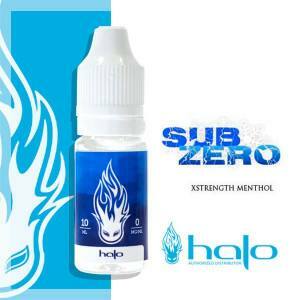 With your choice of e liquids, the freshness is declined as almost infinite: Fresh Mint, Peppermint, Iced Mint, etc... You will find here and All Day for your Electronic Cigarette.